Picking the right weight bench will help perfect your weight training program. It is a crucial piece in any commercial or home gym. Investing in the best weight bench will help increase your muscle strength, focus on a particular muscle group, and help keep you safe from injury. Weight benches come in different variations. When choosing one for your home gym, it is best to keep some considerations in mind. A weight bench is designed for weight training. They come in different variations from flat benches to multi-adjustable benches, Olympic benches, and specialist benches. They help you perform exercises like chest presses and dumbbell presses which were originally done on the floor. 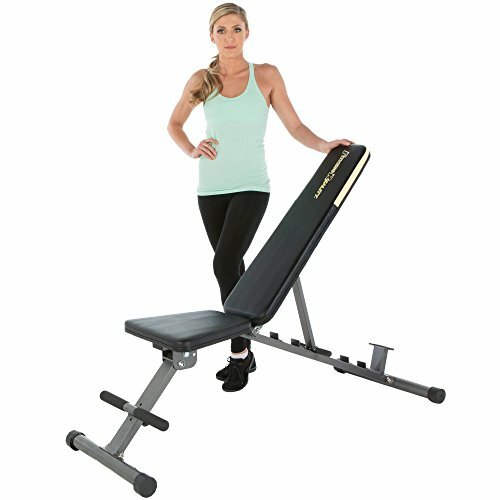 A weight bench presents a safe way to perform weight training exercises which reduces injury and helps you build your muscles. Like the name suggests these benches have a flat form to allow performing exercises that do not need you to be elevated. They are good for the flat bench press which is geared toward pectoral/chest muscle development. It is more fluid as you do not need an angle that will put stress on the shoulders. The flat bench popular for its stability as it does not have hinges that will require constant maintenance. Stability is also a clear indication of the safety brought about by using the flat bench. These are flexible benches that allow you to perform a variety of exercises as they can be adjusted to various positions. 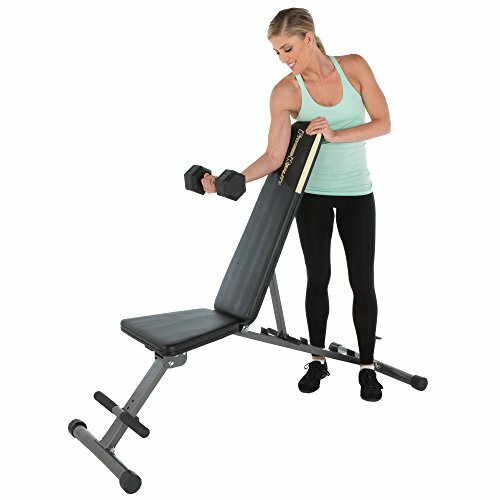 You can set the adjustable weight bench in a flat, inclined, declined, or any other angled position in between. It is what you will be looking for when you want to perform both lower pecs and upper chest exercises, dumbbell bench presses, and many more. These benches adjust using a ladder or pin adjustment which is never a big deal especially with the safer ladder adjustment method. Perhaps the most common type of weight bench is the Olympic Weight Bench. As you will notice the flat weight bench is limited to a number of exercises and doing a dumbbell bench press on the adjustable bench is uncomfortable because of the gap left between the seat and the flexible part of the bench. These benches have an adjustable board that can be flat, inclined, or declined according to your exercise. They work with Olympic bars and are more comfortable and safe because of the inbuilt racking system. This means you can place your weights back in the rack before getting off of the bench, so you don’t risk dropping them on the floor and injuring your foot after a strenuous set. These are benches that can accommodate a wide variety of attachments which makes them more useful for most weight training exercises. You will find these benches in different variations. Some will come with the flat bench and leg curl extension for the legs. Weight capacity of the bench is perhaps the most important. There are lots of cheap benches, and if a manufacturer does not reveal the weight capacity, you better run for the hills. To identify the ideal max load for you, it is important that you define your lifting weight, your body weight, and the highest weight you can or want to add to your routine in the future. For example, if you weigh 160 pounds and you lift 66 pounds but can max out at 110 pounds, you will want to go with a weight bench that can support at least 350 pounds. Most people over 6ft have a problem finding weight benches. The dimensions of the weight bench will give you a pretty good idea about the height. Otherwise, you may also want to measure the one you use at the gym when looking for a weight bench for home use. How well is the bench made? No one likes to deal with a bench that wobbles every time you use it. 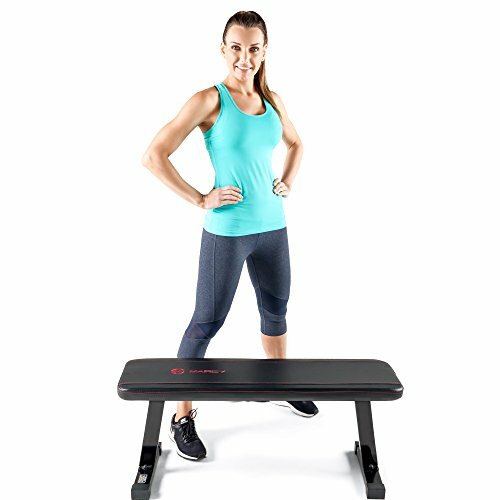 You will want to inspect the durability of the bench and solidity of the shoulder stands. Remember that using a weight bench does cause wear and the more you use it, the faster it will wear. The warranty is also a good indicator of the lifespan of the bench. This way, you can easily fix problems that may arise during use with the help of the manufacturer. Being able to adjust the weight bench is a huge plus especially if you don’t have room for several weight benches. They are versatile and make it possible to train your upper pectorals as well as your shoulders, legs, thighs, and triceps. An adjustable rack is also a nice feature but not a replacement for a spotter. Most weight benches require a permanent position in the home but if your space is used for multiple things, having a weight bench with wheels is a convenient feature. You may also want to keep an eye out for foldable benches as these are easy to stow away and will require only the space needed during use. 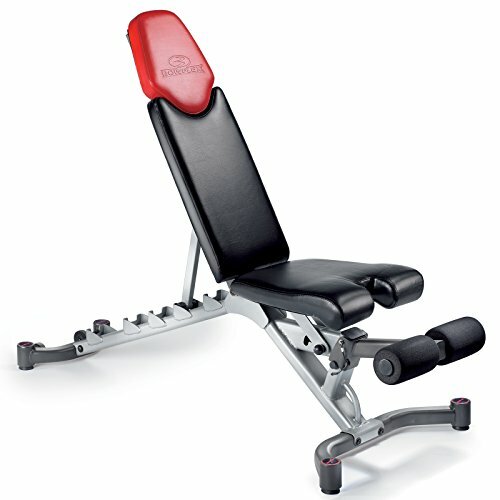 If you are looking to work out from home with a weight bench, the Bowflex SelectTech 5.1 is a good pick. 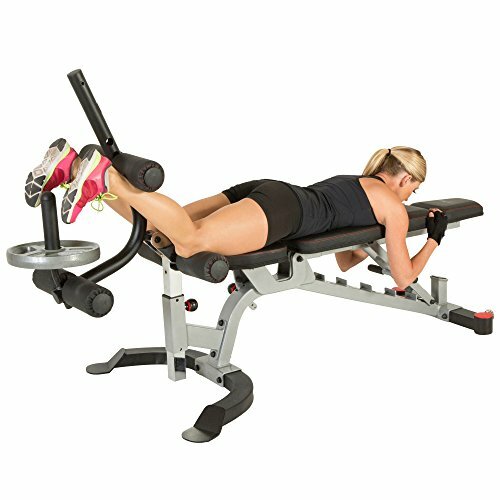 With six different adjustable positions, this weight bench will decline to 17degrees and incline up to 90 degrees. 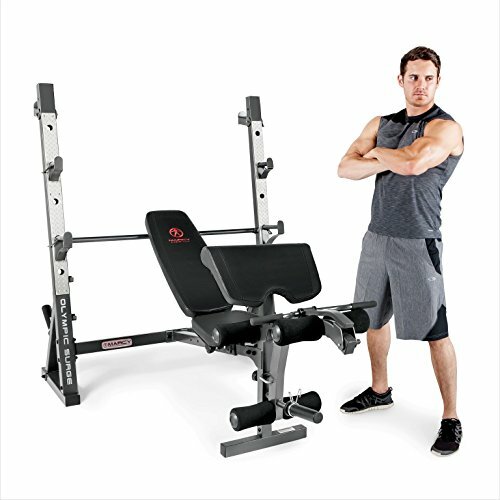 With this weight bench, you can perform many different dumbbell free weight exercises and barbell workouts. Stability is the key feature as this is the most durable and safe of the weight benches in its class. It has a 480-pound weight capacity thanks to the solid steel frame. You will like the raised bar attachments as it eliminates any wobbling in the bench. The 30-year warranty is a sure indication of how well the bench is made as it will be in good condition for a very long time. 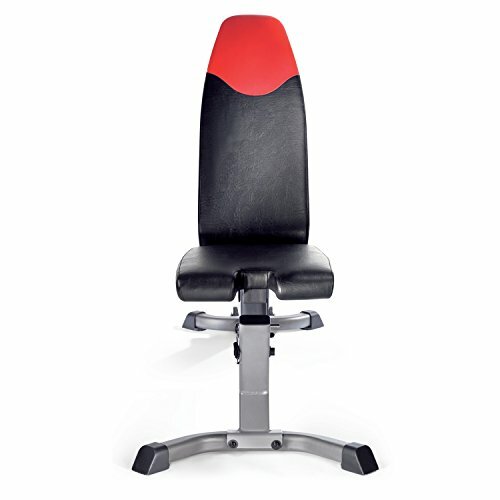 The seat and backrest all have padding that will provide a comfortable space for lifting. It can accommodate tall people as it has a flat bench length of 4.25ft. The seat is adjustable to two different positions which will come in handy for inclines. This way, you won’t slip down into an uncomfortable position. You also get a leg extension/curl that is removable when performing decline exercises. There’s a pin that pops out so you can remove the leg attachment when you don’t need it. Transporting and storing this bench is easy thanks to the lift-and-go feature that allows this equipment to occupy 50% of its space when it’s not in use. It has transport wheels, but you will still need to lift it up as they are not easy to roll it around on. Unlike the 5.1 Bowflex SelectTech, this 3.1 model adjusts to four different positions. 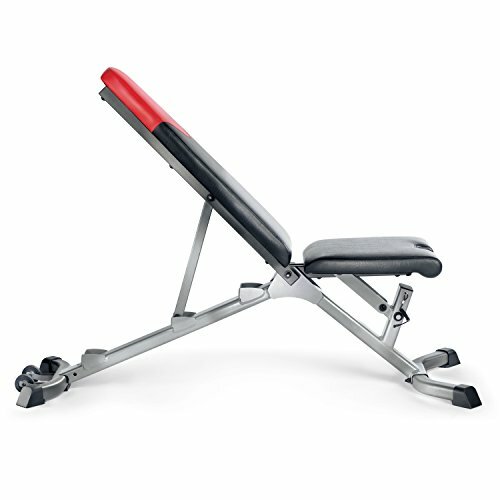 It opens up possibilities for performing over 30 exercises which are only applicable with an adjustable weight bench. 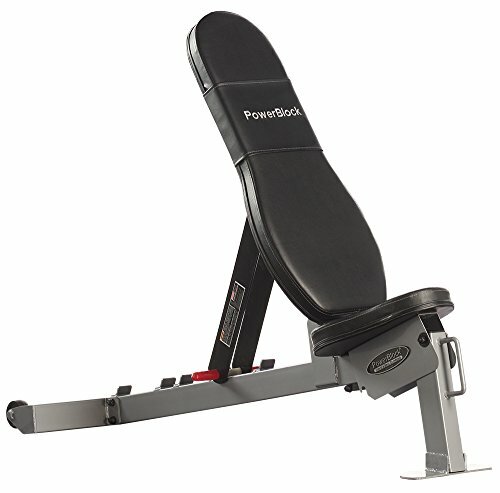 Bowflex has a reputation for quality, and this is what the 3.1 is all about. 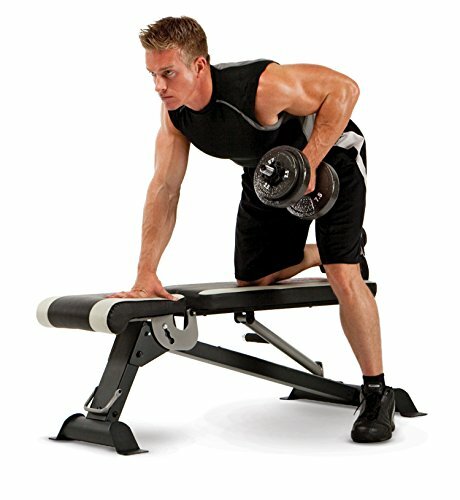 This weight bench is adjustable from 100-decline angle to the flat position, 45 degrees, and 90 degrees. It is built using high-resistance technology which ensures it can withstand lots of abuse that come with weight training. You will notice that it is heavy due to the steel frame that makes it sturdy and durable. In fact, it has a 15-year warranty, and it can support a weight of 300 pounds. It is best with beginners and regular users who don’t lift super heavyweights. The backrest and seat have a padded vinyl cover that is easy to wipe clean after a session. Because of its heavy weight and large frame, it will occupy a fairly large amount of space. But you have the transport wheels that are easy to roll it around on. Assembling this weight bench is a breeze. Bowflex has clear instructions that will allow you to assemble it in roughly 45 minutes to an hour. Don’t let the seemingly minimalistic frame fool you. The XMark Fitness FID XM-7472 weight bench has perhaps the highest weight capacity in its class. It offers seven incline, flat, and decline positions to cater to many weight lifting exercises. This weight bench makes the top list of the best home weight bench. This is because it does not occupy that much space. Made from 11-gauge steel and 3 inches of duracraft padding on the seat and backrest, this weight bench is built to last. It has a duraguard cover that is tear and sweat resistant. it falls right in with the regular user who lifts weights every single day. Looking at the adjustable positions, you have three seat positions to complement the seven workout levels. It will enable you to perform military presses, flat bench dumbbell presses, incline dumbbell presses, rows, pullovers, triceps extensions, etc. The XMark Fitness FID XM-7472 has a weight capacity of 1500 pounds. It is nowhere near what you will need, but it should clear any doubt you have about its durability. An in-home lifetime warranty also backs it. The Marcy SB-670 remains one the most practical weight benches for use at home. It has six adjustable positions with a lightweight but durable frame. It is an easy pick for trainers who need equipment that targets all muscle groups. 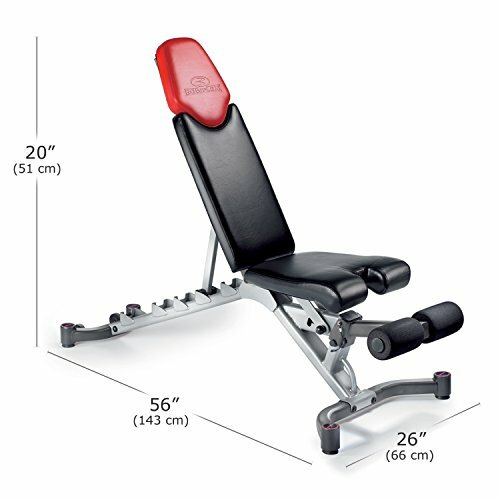 This weight bench is a good fit for tall users as it has an assembled length of 4.3ft so you can lie on your back with your feet on the floor, and your head will be well rested. The incline is limited to 45 degrees so you may not be able to lift in a fully inclined position. It will be suitable for flat bench butterflies, military presses, inclines, and declines. Marcy SB-60 weighs only 46 pounds. It can fold flat for storage, and it comes with easy-to-roll wheels. When folded, this weight bench will occupy the least space in your apartment such as a closet. This bench has a max load of 300 pounds. It can support most users under 200 pounds looking to lift as much as 90 pounds without putting undue stress on your body and the bench. The bench boasts a 14-gauge steel construction. It can withstand stress and sweat since it will not fade or rust due to the powder coating. Featuring five adjustable positions, the Universal UB300 weight bench is game when you are. Built to support a variety of workouts, this model bears an entry-level structure as it can hold up to 250 pounds. Universal UB300 can adjust from -10 to 0, 15, 30, and 45-degree positions. It achieves a total length of 4.25ft. which makes it comfortable for most users. It is a good pick when you want a real challenge for your upper body and core with seated curls, seated shoulder presses, flat presses, incline presses, etc. Built from steel and vinyl upholstery, this model is designed to give you decent service for a remarkable amount of time. It is easy to maintain as it does not have that many parts. The leg brace is fixed. It features 8-inch foam rollers that make it comfortable to use fo decline exercises. The bench also comes with stabilizers that ensure it will not wobble or rock no matter the surface. Whether you use it on a hardwood floor or concrete floor, it remains sturdy through the most intense weight lifting sessions. The Fitness Reality 1000 Super Max Weight Bench is the real deal for heavy weight lifting. If you want to lift from home, you have every reason to go with this model more so if you want to engage all the major muscles in your body on a budget. 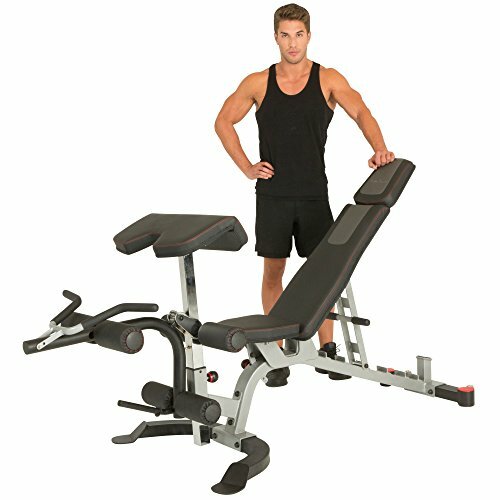 This is a professional home weight bench that offers 12 adjustable positions. It can set in a flat position, decline, and incline positions from -20 to 80 degrees. It can be used for bench presses, dips, pullovers, butterflies, and dumbbell workouts that require various positions to perfect. The weight bench has outstanding strength. It can support up to 800 pounds thanks to its triangular design. With a powder-coated tubular steel frame, this weight bench is built for intense training. With the 3-position leg hold and 2-position front leg, it provides you with the most comfortable decline performance. You will appreciate that it has a wide seat which makes it suitable for both slim and heavy users. You also get to work with extended leg holders that prevent any form of rocking on different floors. This weight bench will fold flat where the seat locks in place, but the backrest does not lock. You may store it under the bed or in a closet. 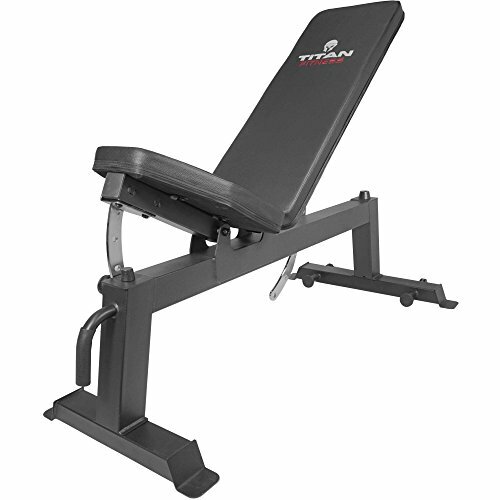 Titan Fitness Adjustable Flat Weight Bench is a quality model that has lots to offer the home fitness trainer. It has the ideal height for bench presses and dumbbell presses. It can support lots of weight, and the bench is comfy but stable at the same time. 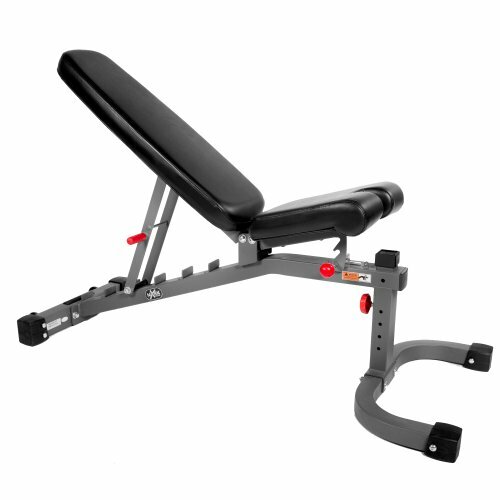 This weight bench has a broad backrest that allows you to use it for extended periods without hurting your back. It can support up to 650 pounds making it easy to lift as much as you can without risking injury. The weight bench will need to be assembled properly, to prevent any loose nuts that could lead to possible injury. This bench uses a pin adjustment system. It is straightforward that even a beginner will find it easy to execute. The bench has two adjustment positions which is the flat and inclined position. You will not be able to do any decline exercises which makes more suitable for beginners. The Titan Fitness weight bench has steel construction. Instead of using a vinyl cover, this one has a leather finish and comfortable padding. It feels sturdy, but if you rock it side to side, it does show signs of wobbling. We guess it’s because it does not have any stabilizers to eliminate the wobbling. This weight bench presents versatility from every inch. It has intuitive accessories that allow it to target muscles all around the body including the legs. 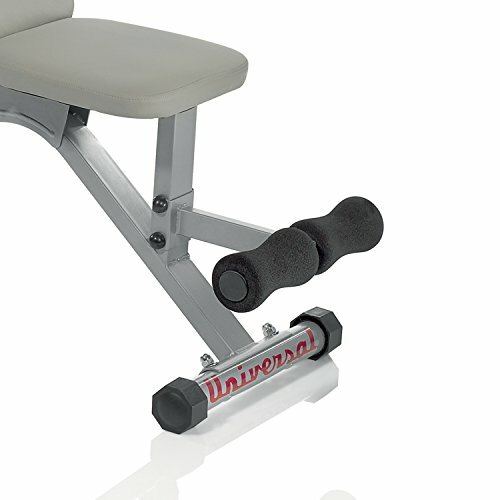 The included Olympic leg curl and leg developer comes in handy for strength training your hands, legs, and thighs. The Fitness Reality X-Class weight bench is rated for 1500 pounds. It is one of the highest on our list indicating it is a must have for serious bodybuilders. This bench has seven adjustment positions from -15 degrees to 85 degrees. It is remarkable the variations you can perform with such a wide range of positions especially the decline options that can allow more in depth shoulder and core exercises. We like that the seat is also adjustable in four positions from 0, 5, 10, and 15 degrees. It uses 2.5 inches thick multi-layer foam for the seat and backrest to make it super comfortable for the back and shoulders. This way, no matter the weight you are lifting, your body will not press into the bench. This weight bench can be used with a squat rack, and Power Cage sold separately by Fitness Reality. The preacher curl and leg developer has a capacity of 180 pounds and is adjustable to six different positions. 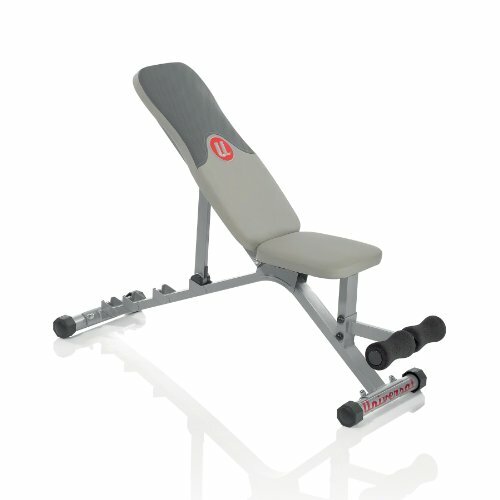 With the leg lockdown and curl pad, you can do more sit-ups and more ab crunches comfortably. The PowerBlock Weight bench is an affordable and functional model. It offers five positions from the flat, military, 30, 45, and 60 degrees. It has a unique design that is comfortable for the gym "rat" who does not like missing a single workout. The weight bench has a separate backrest and seat. The backrest can take five positions while the seat can adjust downward to prevent slipping. This product showcases a heavy-duty design with construction from heavy-duty, 14-gauge steel. It is not lightweight at 57 pounds which is a clear indication of its stability and longevity. You can count it for long bulking sessions as it has a 21-inch width, but it may not be comfortable for large users. We don’t expect you to sink thanks to the padded and tapered upholstery. We also like that you don’t need to put a towel in the gap when the bench is in the flat position. This weight bench has the option of a dip attachment for your triceps. It is a nice addition since you will be able to add more exercises to your routine for a more fulfilling workout. If you are out to upgrade an old home weight bench or you want to include weight lifting in your workout routine, we got you covered with the best weight benches on the market. You are about to experience weight lifting on another level with these adjustable weight benches. 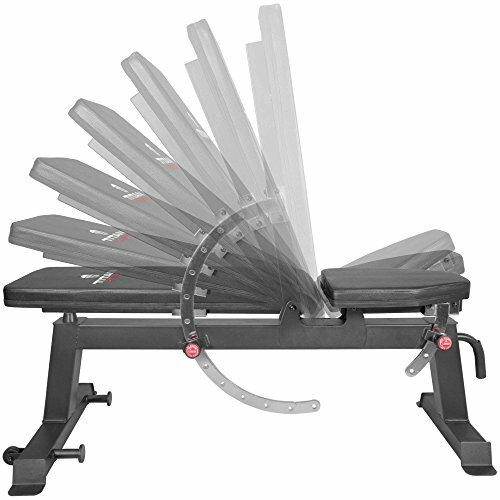 Our top performing weight bench is the Bowflex SelectTech 5.1. It showcases longevity, versatility, and it’s a perfect length for tall users. You can also have similar functionality with the XMark Fitness. 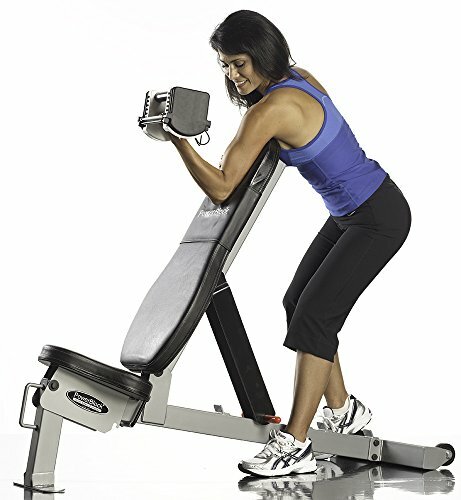 It is adjustable to seven levels but more affordable than the Bowflex SelectTech 5.1. It also can handle much more weight as it has a higher weight capacity at 1500 pounds. 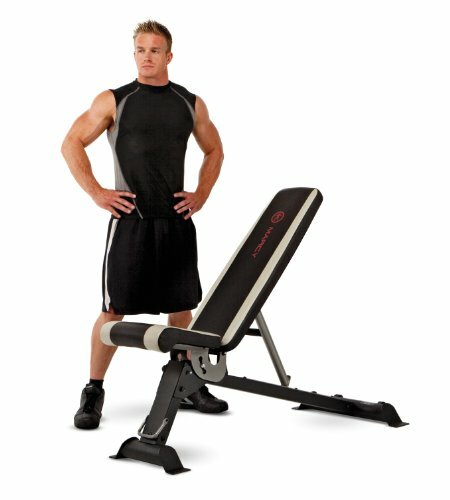 For a cheap model, you can’t go wrong with the Fitness Reality 1000 Super Max Weight Bench. It is adjustable to 12 positions, and it has a weight capacity of 800 pounds. Go on and start or continue your fitness journey with these in-home weight benches.